Stewart Devine is a career Foreign Service Officer with the U.S. State Department. He is currently serving as the Diplomat In Residence (DIR) Rocky Mountains Region. He is based out of the Josef Korbel School of International Studies, University of Denver, Colorado. His region’s States are Colorado, Utah, Idaho, Wyoming, and Montana. Before his assignment as DIR, Mr. Devine was posted to the U.S. Embassy in The Hague, Netherlands, as the Counselor for Management Affairs. Mr. Devine was posted to the U.S. Embassy in Baghdad, Iraq, overseeing the Department of State and the Mission’s Refugees and Internally-Displaced Persons program throughout Iraq. 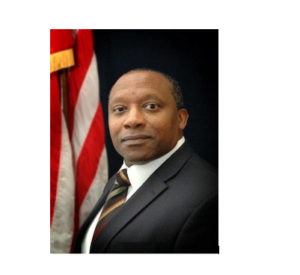 He has also served as Counselor for Management Affairs at the U.S. Embassy in Abu Dhabi, United Arab Emirates (UAE); Chief of Regional Training (and Trainer) for U.S. Diplomatic Missions in Western Europe, based out of the U.S. Consulate General in Frankfurt, Germany; Regional Supervisory Human Resources Officer at U.S. Embassy Bangkok, Thailand, managing HR support to selected U.S. Embassies in Southeast Asia; and various other administrative Management assignments in Seoul, Korea; Suva, Fiji Islands; Osaka, Japan; Cairo, Egypt; Economics Affairs Officer and Consular Affairs Officer in Seoul, Korea; and a previous assignment at the U.S. Embassy in Iraq as Management Transition Officer during which I coordinated with the Government of Iraq for retention and return of selected properties on which the U.S. Government held interests.